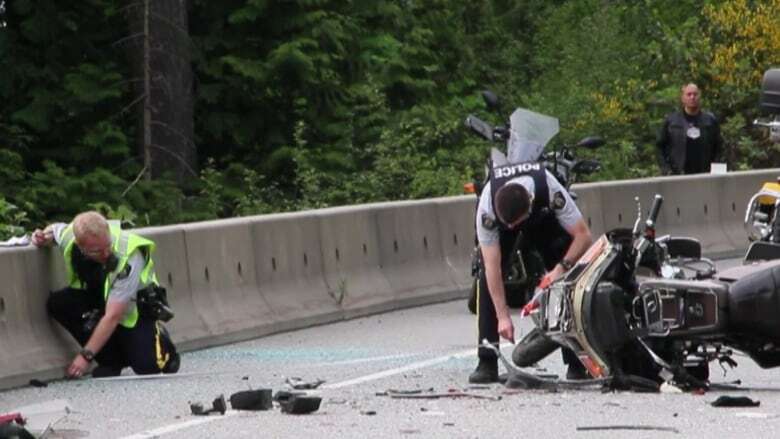 Two people were sent to hospital in critical condition after the motorcycle they were riding on collided with a car that was stopped on the Sea-to-Highway just south of Lions Bay Saturday. 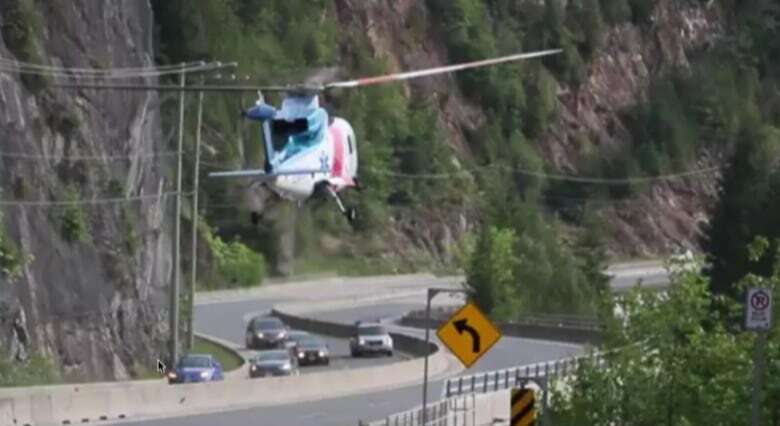 Two people were air-lifted to a Vancouver hospital with minor injuries after the motorcycle they were riding on collided with a car that was stopped on the Sea-to-Highway just south of Lions Bay, early Saturday evening, near Strachan Point. The motorcycle had been travelling south on Highway 99 when it crashed into the back of the car that police say had stopped because it ran out of fuel. Two lanes on Highway 99 were shut down for several hours as crash investigators examined the accident scene.